Anonymous, 12 Aug 2018Wow, 8 Plus over X?? You have NO idea what youre saying, the X is the only phone worth buying,... moreI admit that apple chip is more powerful than andriod. but, too bad, the unpractical new interface gesture in iPhone X makes that phone went slower. plus, that small amount of RAM really chocked its performance. iPhone 8+ is faster than iPhone X. with the same amount of RAM but more less features than iPhone X, iPhone 8+ performs better. 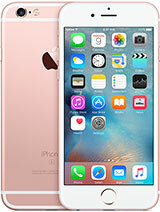 whether it's worth or not to buy is depend on what you want (more features or more faster phone). Exol97, 12 Aug 2018I already change phone for 2 times. Both was android. It really frustrating because of lagging... moreEven an iphone 7 is faster than Galaxy S9, as the S9 can only post good benchmarks after being in the freezer for 10 minutes. You cannot solve android performance problems by changing to another android, many has tried and all have failed. Remember the days of Galaxy NOte 2 and galaxy S4, how they were outperformed by iPhone 4S(!)??. If you want performance the only rule you need to follow is to say no to Android. 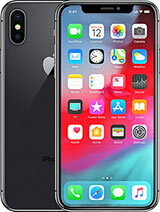 I advice to buy the X, its the only one worth the price, or if you live in USA, Hong Kong or any country likely to get iPhone 11 in september/october i advice you to wait for the 11 since its rumoured to be $100 cheaper than the X. In more "emerging market" countries the Phone 11 cannot be expected before December. Garyloy, 12 Aug 2018not lag i suggest oneplus 6 to overcome overheat issue i suggest iphone 8 plus (iphone 8 plu... moreWow, 8 Plus over X?? You have NO idea what youre saying, the X is the only phone worth buying, buying an 8+ instead is a horrible advice, pls noone listen to this clueless guy, you regret dearly if you do. iPhone X cant be described, dont read reviews, just buy, for sure you will never regret. As for the rest of your comment, Vivo, Oppo, what are you doing involving these useless androids in this comment section? You havent even tried an iPhone have you? 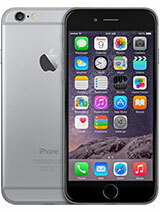 Even iPhone 6s is much faster than your android suggestions. Stop looking at cold benchmarks, just a minute of hard use and even an iPhone 5s matches the speed of new android flagships. if u hate notch and like big bezeless screen phone i suggest vivo nex phone with special and creative designs! I already change phone for 2 times. Both was android. It really frustrating because of lagging, overheat and etc. now, i am in dilemma whether i need to change to samsung S9 or iphone 8 or iphone X. definitely not 8+ bcs the size is too big. what do you guys think? p/s: sorry i am bad with english. MZPK, 08 Aug 2018i have 650-700 bucks range.... offcourse i can't afford iphone x in this price range.. which a... moreI would wait for the new iPhone to be released in September, and then make a decision based on new prices. 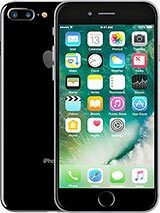 As the iPhone 8 Plus (which is a good phone) will be cheaper than it currently is priced at. 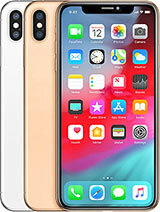 All the Android phones are equivalent to the velocity of iPhone SE which IÂ’m using and as for my new iPhone X it will take 10 years for Android to catch-up. Great work, Apple , Great work. Anonymous, 05 Aug 2018So you have an X and found its performance to be lacking? Then i really wonder what you think ... moreShut the hell up what the hell do you mean iphones are just overpriced hunks of crap. What an incredible waste of money. The s7 was easily better than the iPhone 7. Pricey and a mediocre performer. Nothing revolutionary indeed compare with the previous. Thanks for the buyer and support who has made Apple a 1 trillion dollar company. 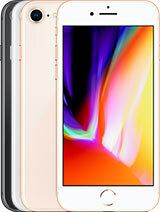 MZPK, 08 Aug 2018i have 650-700 bucks range.... offcourse i can't afford iphone x in this price range.. which a... moreIll go for iPhone 8 or 8 plus. Should be in the price range. Maybe you can buy an iPhone x Refurbished cheaper? 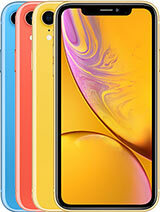 Come on Apple can u make an X without a notch? It makes an iPhone ugly. i have 650-700 bucks range.... offcourse i can't afford iphone x in this price range.. which alternate iphone shall i go for ??? 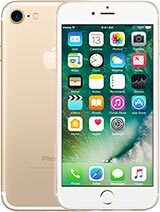 i phone 7plus ... serious suggestion please. Is screen brightness on max? Are using personal hotspot while using those apps? are you using graphic intensive apps? Anonymous, 05 Aug 2018L have i phone x but why the phone is heatfrom back if used 2 or 3 appMay be heat from hand? 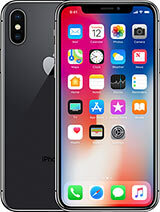 Total of 3156 user reviews and opinions for Apple iPhone X.